NAEM's 2015 EHS Management Forum Deborah Briggs, Global EHS Compliance and Systems Leader; Cargill Inc.
Deborah Briggs, Global EHS Compliance and Systems Leader, Cargill Inc.
Deborah Briggs is the Corporate Director of Compliance and EHS Systems for Cargill, Incorporated. Cargill is an international producer and marketer of food, agricultural, financial and industrial products and services. Founded in 1865, Cargill remains a privately held company that employs 142,000 people in 67 countries. 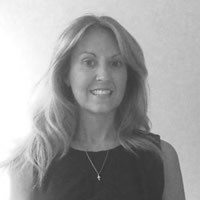 Deborah joined Cargill in 1994 and has worked across many disciplines throughout her career including Quality Assurance, Production Supervision, Integration Management, Strategic Business Development and EHS Leadership. She currently leads Cargill's global EHS auditing efforts, provides oversight for due diligence activities and is responsible for establishing compliance assurance systems for Cargill's 1400 locations. She received her Bachelor's degree from Indiana University with a double major in Biology and Environmental Science and holds a Master's degree in Business Administration from St Thomas University. Deborah also maintains her Board Certification in Safety.